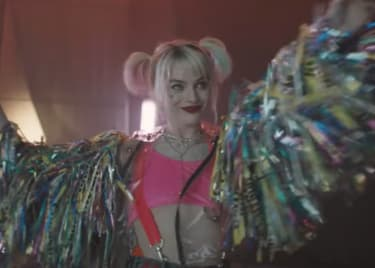 There are classic cinematic battles that audiences have anticipated. Rocky versus Apollo. Batman versus Superman. And in the realm of Godzilla, the giant creature’s main nemesis over the years has been King Ghidorah. Well, that rivalry is being renewed in a massive way when GODZILLA: KING OF THE MONSTERS hits theatres in May. 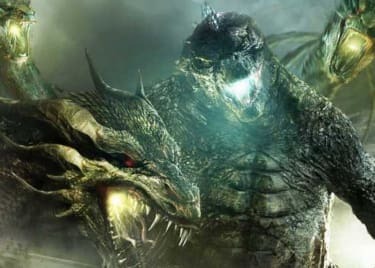 We attended the Warner Bros. panel at CinemaCon 2019 in Las Vegas, where the studio showed off extended footage from Michael Dougherty’s GODZILLA sequel. And the bulk of the footage shown to us focused on the rise of King Ghidorah from the depths of the Earth. The plot of Michael Dougherty’s movie seems to follow mankind’s reaction to the presence of Godzilla, who emerged from the seas in the 2014 movie named after him. He’s not the only monster on the loose, though, as GODZILLA: KING OF THE MONSTERS also brings back modern versions of classic creatures Mothra and Rodan. But true fans know that the real battle begins when Godzilla stares down the three-headed dragon beast known as King Ghidorah, and the beginning of that conflict was shown in the footage at CinemaCon. Why the Titans are being summoned — and HOW they are being summoned — is still a mystery. But the scene we watched showed Ghidorah emerging from beneath the surface, one head at a time. Human cast members Vera Farmiga, Kyle Chandler, Millie Bobby Brown and O’Shea Jackson Jr. witnessed his rise in awe. 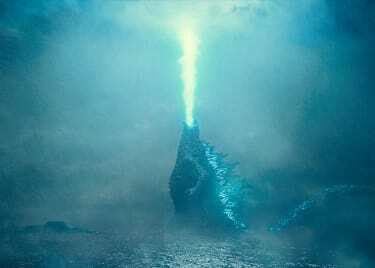 The monster has similar powers to Godzilla, mainly that they both breathe fire (which was shown in the footage). But once King Ghidorah is out and ready to rampage, we see a very familiar sight. Beneath the surface of the water, a massive shape is swimming toward shore. It’s Godzilla, and we know that the fight of the year is about to begin. The conflict is teased ever so briefly at the end of the GODZILLA: KING OF THE MONSTERS trailer. We will see how much of humanity is left after Godzilla is sent to destroy Mothra, Rodan and King Ghidorah. The carnage and destruction in the GODZILLA: KING OF THE MONSTERS trailer is on an epic scale, and even if we survive, we’re not sure exactly how we will rebuild. But it has to be done before 2020, because that’s when GODZILLA VS. KONG reaches theatres, and the other battle of the decade will begin! 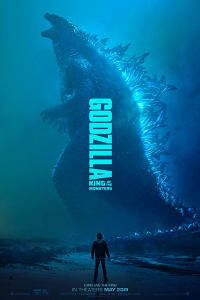 GODZILLA: KING OF THE MONSTERS will be in AMC theatres on May 31. Be sure to set an alert, so you can get tickets the moment they go on sale.